A wedding invitation is a critical piece of documentation that conveys far more than just the time and place of the nuptials. An invitation may offer a hint of the wedding’s theme, colors, or formality, may introduce guests to the happy couple, and may provide a way for guests to respond to the attendance request. Brides- and grooms-to-be need to understand all the subtleties of an appropriate wedding invitation in order to choose invites that express not only the proper information, but also the joy they feel in their upcoming celebration. * A range of sizes and shapes, including rectangular, square, bi-fold, tri-fold, note card, embossed, and other formats. * Themed invitations suitable for a beach wedding, Disney wedding, western wedding, or any other specialized event. * Invitations with customized enclosures such as RSVP cards, pew cards, or maps. * Invitation sets with coordinated envelopes, seals, tissues, and ribbons. * A rainbow of colors to match any wedding palette. 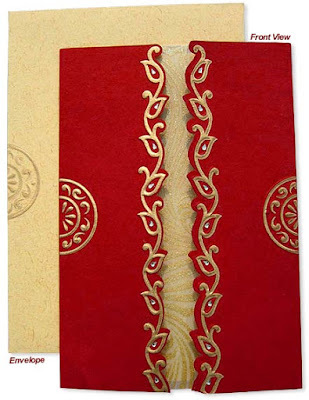 * A wide variety of traditional designs, from abstract borders to bride and groom clipart images. * More casual invites for bridal showers or other wedding-related events. Couples should choose wedding invitations that match their personalities, the theme and formality of their event, and their budget, but there are also other considerations to be made. * How much will a complete invitation, with all enclosures and return postage on the RSVP card, cost to mail? * Is the invitation legible for every guest? * How easy will the invitations be to assemble, address, and mail? * Have extra invitations been ordered as mementos and to account for misdirected mail or additions to the guest list? * Has a proof copy of the invitation been reviewed for proper spelling and accurate details? With careful consideration, planning, and coordination, couples can easily find beautiful wedding invitations to include everyone in their celebration, whether they are interested in a unique wedding invitation, a classically elegant card, or a fun and carefree invitation note.